Thoughts of saving the historical evidence, during conservation and restoration process; is the main objective that all professional conservators are keen of. 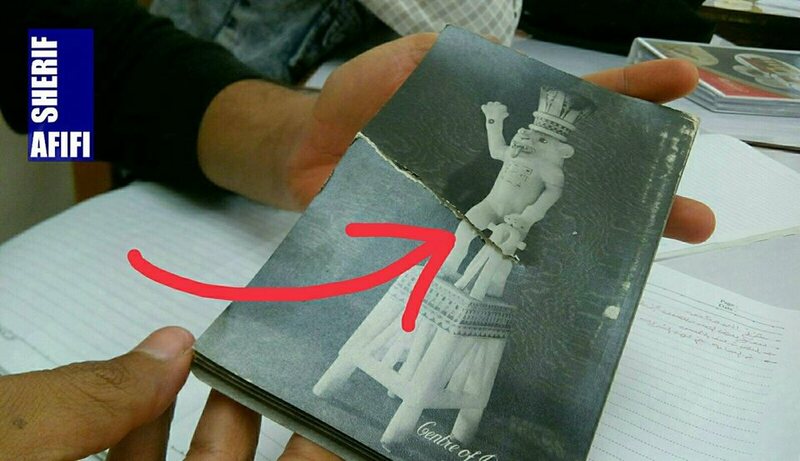 Moreover, before taking any conservation or restoration decision or action; conservators carefully should study hard the object history and condition.Curators work closely with conservators to identify the object's history, identity, originality, and all other codicological and curatorial pieces of information. Therefore, marble paper considered as one of the books sights that carry a lot of historical evidence, for instance, it carries information about the object binding history, technique, and whether it is the first (original) binding or a later on binding or restoration. The idea of carrying a handy and easy to use yet mobile application, which carries out all the information and history about marble papers, was one of my dreams in creating a knowledge sharing culture since I have many dreams regarding this sharing conservation culture. 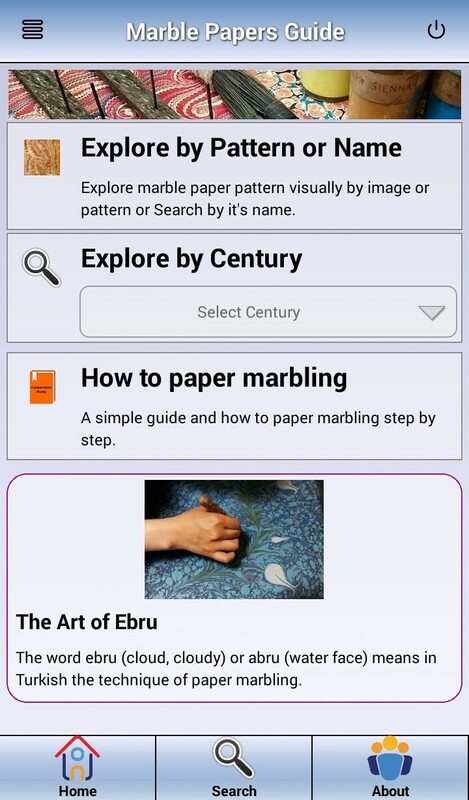 Marble paper pattern and methods guide mobile application for conservators, bookbinders, curators, and researchers, helps to identify most of the vintage marble paper patterns from the 15th century to 19th century, giving you an idea about how to marbling and how was each pattern made. No need for internet access or spending more money on your mobile data plan. 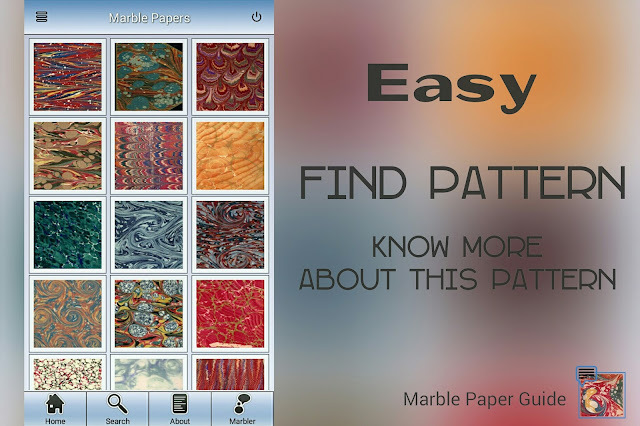 After downloading and installing marble paper guide, the majority of its functions are working offline. 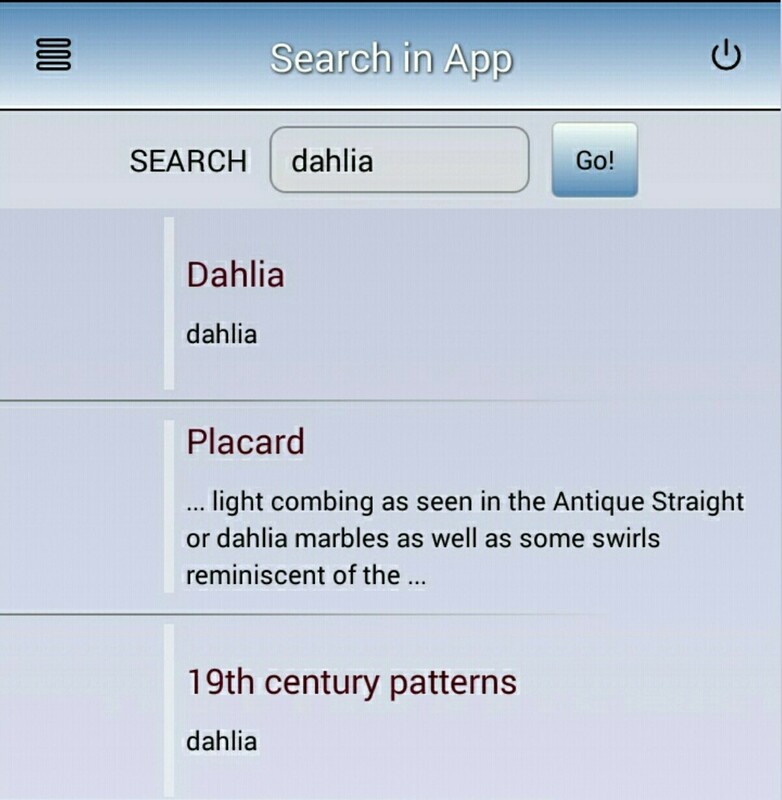 After installing this FREE Android application, you will immediately discover that it is easier now for conservators in just a click to find more information about the marble paper that he is working on (for conservation-restoration or even binding), just by comparing its pattern with many patterns on this application and start navigating more historical information and similar patterns. 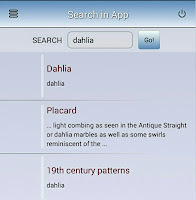 Easy off-line search is available, just type the pattern name or any other keywords, and the built-in search engine will guide you to find more possibility results untell you find the required information or pattern. If you are searching for a marble paper in a period of time or specific century, for example, in case of using a marble paper to meet the requirement of a historical period binding technique, this grouping option is the assistant, which classify all the marble paper patterns according to its creation century and its common usage. A FREE download for this application is available on Google Play Store for Android mobile, unfortunately, it is not available yet on IOS. If you are interested in MORE of other conservation and restoration Android mobile applications, which have been developed by me; please visit my Google Play page. Furthermore, your rating and review definitely are a huge support to me, which encourages me for developing more mobile applications for conservators. As well as your feedback is highly appreciated and will help me to improve my applications. 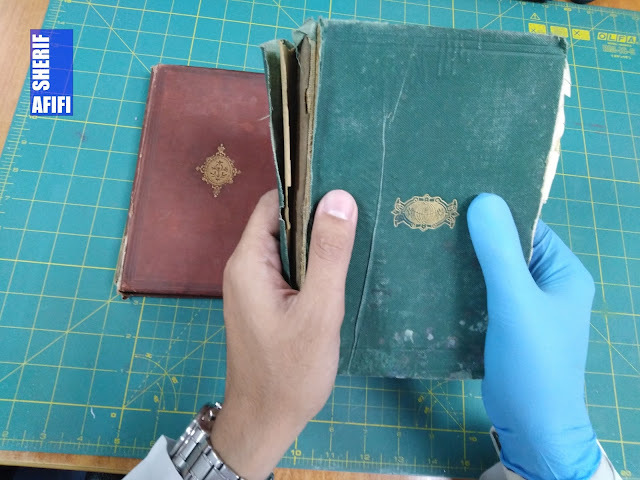 Limp binding is a bookbinding method in which the book has flexible cloth, leather, vellum, or (rarely) paper sides. 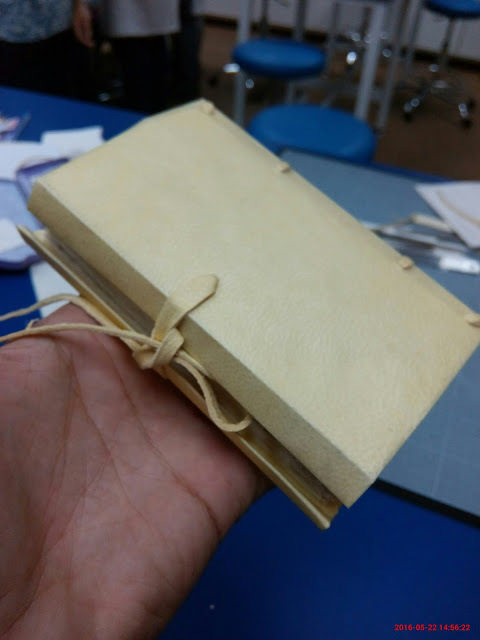 When the sides of the book are made of vellum, the bookbinding method is also known as limp vellum.